You must make reservations at least 5 minutes in advance of the time at MesaMar. 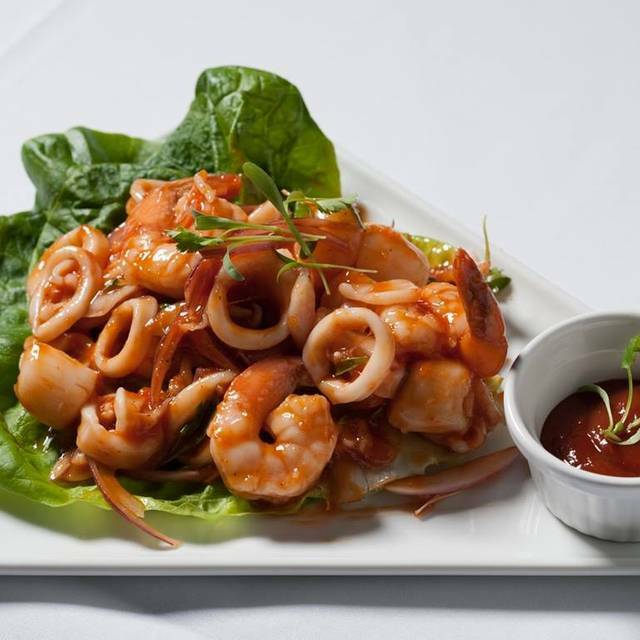 MesaMar Seafood Table is a high quality seafood fusion restaurant that brings an innovative oasis to the growing metropolis of Coral Gables. Good for dinner with parents, good food. I had the linguini vongole and the clams were a bit gritty. Everything else was good though. Awesome food - service - relatively good prices. We went for Easter lunch with the family and had an absolutely wonderful time. The food was ok, the service was too slow and I ordered a cappuccino at the end of my meal and when they brought it it was COLD. The food was delicious as always. Our server Luis was great. He explained the menu and answered every question we had. The seafood is so fresh and delicious. We had fried snapper and so tender scallops. Great atmosphere. Antonio and Fifi really know how to take care of you. Everything was great, but the entree (paella) could be better; it was not at the quality level of the appetizers or the deserts. Great Tuna Tartar. Gorgonzola Ravioli with pear sauce. Super but portion could be larger! Great food. Luis was fantastic. 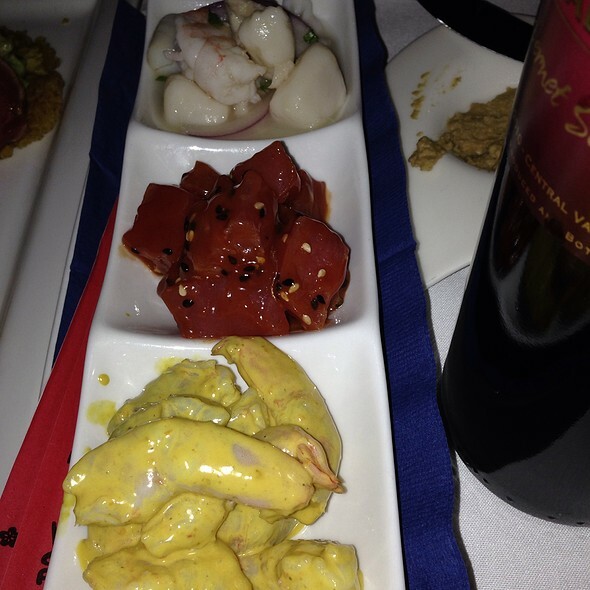 I would recommend the scallops and ceviche. I always make time to dine at MesaMar when in South FL. A Coral Gables gem! We arrived early and were seated outside upon or request. Smoking was allowed and we enjoyed a cigar and drinks before we ordered. We had the Giant Langostino, Red Snapper cooked 2 ways and the 50oz bone in ribeye carved table side. Snapper was the start with a close second going to the charred Langostinos. 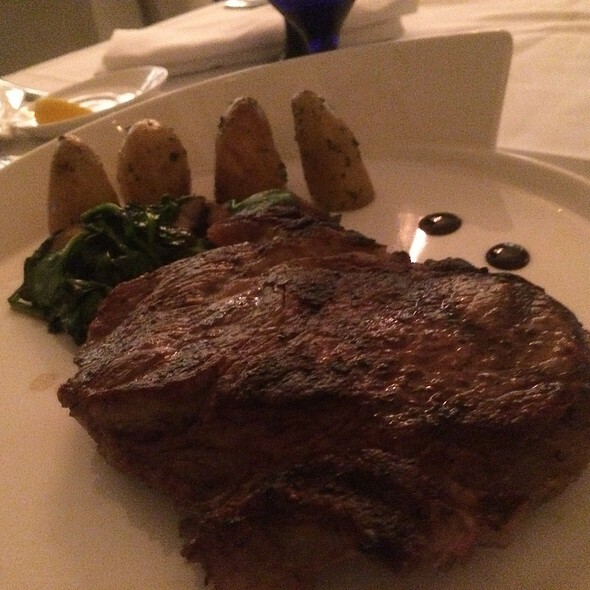 The steak was impressive, but it was slightly over done rather than medium rare. I would suggested ordering rare-medium rare. The friend rice and tostones were average. Mesa Mar never disappoints. The seafood is always fresh and the food and service are excellent. One of our favorite seafood restaurants! Our food was very good, fish was nicely presented and the mash potatoes taste homemade. We were a big group and our food came out at the same time. Waiters and hostesses were very courteous. Great experience. If you haven't come to Mesamar do not waste time and make your reservation asap. Everything is delicious. We were used to go to Fifis on North Miami Beach, but Thank God that now you are closer. 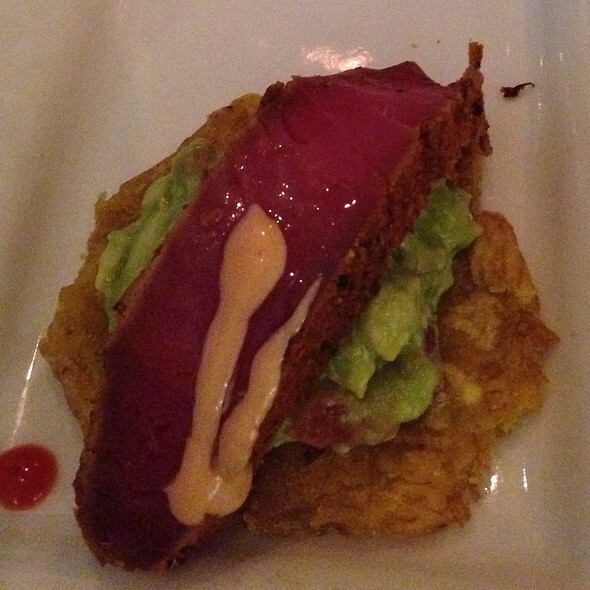 Every dish is a feast, the sopon, the ceviche, the fresh fish, all the flavors reminds me of my happy Venezuelan past. Oh, and the service is impeccable. Very nice seafood and fish restaurant in Coral Gables. There is a valet in front for parking, a small open lot a few steps away, and there is also the garage in Ponce one block away. This is my second visit. The first was for lunch on a late Saturday, this time for a weekday lunch. The ambiance is really nice with a Mediterranean feel. On this weekday occasion, the place seeemed very busy with a lot of corporate executives at lunch. Because the dining area is rather small, it was little noisy. The fish and seafood was very fresh, and the presentation of food was really nice. Many had seafood paella, which looked really good. We tried the seafood soup, grilled calamari, and the fresh catch. The fish was snapper and we tried it both grilled and fried. Both were good, but the fried fish was seasoned a bit better and was tastier. We also tried the chocolate mousse, which was yummy! The only complaint I had was that serve was a little slow and inattentive at times. My salad (not the house salad) , and took forever for them to bring us the check and then again for them to cash us out. There was more attention to setting up the dining room for dinner service, instead of finishing up service for the late diners. I also noticed that op my first visit, so they need to work on that. But overall it’s a nice place to try for fresh fish and seafood. Our waiter, Luis was outstanding, fun to work with and his recommendations right on the mark. Food was excellent. A perfect evening dining out. Celebrated my mom’s birthday here this past weekend with the family and it was very intimate. My mom enjoyed everything from start to finish. The food, the drinks, the ambiance. Jorge and Ryan took very good care of us, we will definitely be coming back soon. I recommend the octopus & sea bass. Excellent! One of my favorites in Miami. I had salmon, asked for it to be medium-rare, it was well-done, and rather dry. Would not repeat. Our favorite restaurant in Miami. We took the family on Sunday and all enjoyed the food very much. Great hidden gem in Coral Gables....happens to be a spot Christian Slater frequents when he dines with his In-Laws....Tuna and Lobster are to die for!!! 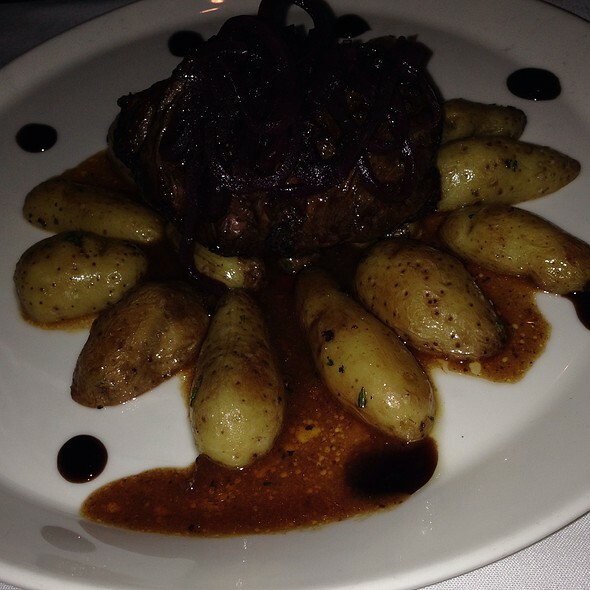 The atmosphere, food and service are excellent. Surprised it was not more crowded; however, it was a Tuesday night. We will definitely go back. Excellent service, food and ambiance. Prices are relatively high for MP items. A full course meal with a bottle of wine for two can be around $200. 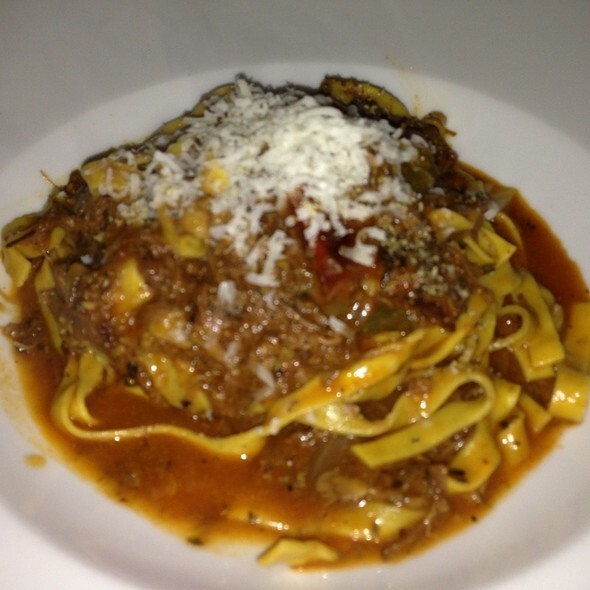 One of the best restaurants in South Florida! Love it!! Had dinner on Thursday and lunch on Friday. Great food and fun place. Service could have been better. A true hidden gem!! The langoustine's are simply 'out-of-this-world' delicious. 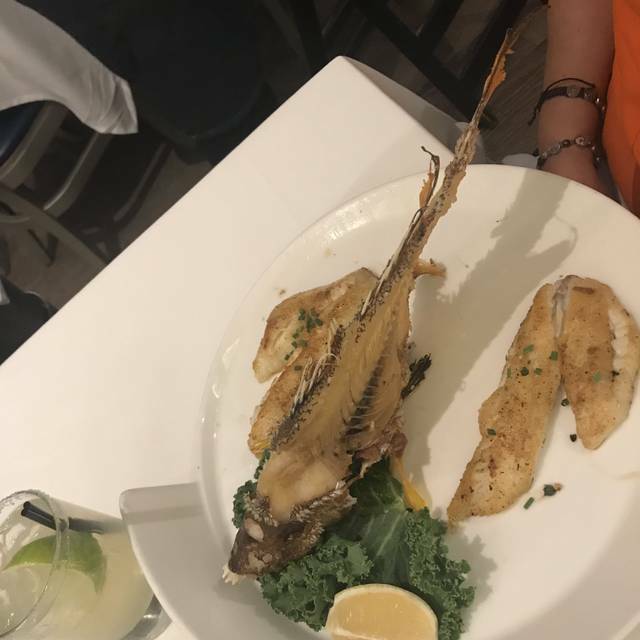 The whole fish is amazing. I've tried the yellowtail snapper and the hogfish snapper. The hogfish is just one of the most delicate and sweet fish from the snapper family. Their specialty is whole-fried, in a quick light crust; but I personally preferred the broiled version. The Seafood MesaMar paella is my favourite dish save none. I can't comment on dessert as I never have room. The wine list is fairly good too. Chef Fifi knows her kitchen. I HIGHLY recommend MesaMar! The tableside fish and presentation...AMAZING. The dessert was unforgettable! This is a wonderful restaurant. The service was impeccable, not overbearing but very attentive. The fried whole fish is definitely one of the stars here and the presentation is so impressive. The lobster tempura and grilled calamari appetizers were very well prepared. It enjoys a very loyal clientele and easy to see why. Unfortunate experience with the manager. We had made a reservation for a party of 8 to celebrate my mothers birthday 3 weeks in advance. We called to confirm two days prior and was informed that we were all set. When we arrived on the day of the reservation, the manager told me that the table we had requested was given to someone else and stated that they "did not accept reservations for the weekends" that it was impossible to have reserved that table. In essence, calling me a liar! This was unfortunate, as we have been coming to this restaurant since it opened and ALWAYS making a reservation. The service and food have always been great. The manager obviously needs customer service training. My wife and I will not be returning to this restaurant until a management change has been made. I have been here about 6 times in less than a year and I order the same thing every time--the fish of the day, half fried and half grilled--its fabulous!! when I recommend fried fish, I feel I'm losing most people, but this is fried fish unlike that most--light, sweet, not greasy! Try it and you will see! Came here for my mom’s birthday for an all-girls dinner. Teresita our waiter was so kind and friendly. Will come again for date night or another gathering with the girls! I have been there twice. 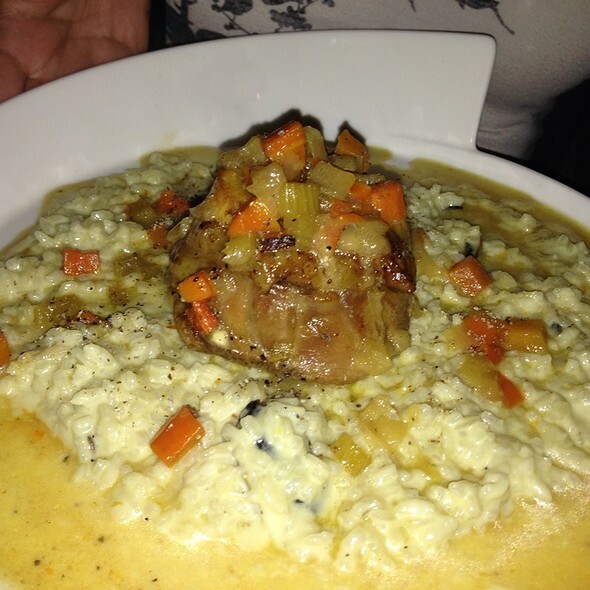 Once about nine months ago and it was excellent especially the food. This second time, they had two office parties going on with a high level of noise and the food was not really good, or at least as good as my first time. The service was very good and the decorations are beautiful. The seafood was excellent and so was the service. We look forward to ur next visit. Best seafood restaurant in the Gables. I brought a large business party here (15 people) and they ordered a wide variety from the menu and enjoyed almost all of it thoroughly! 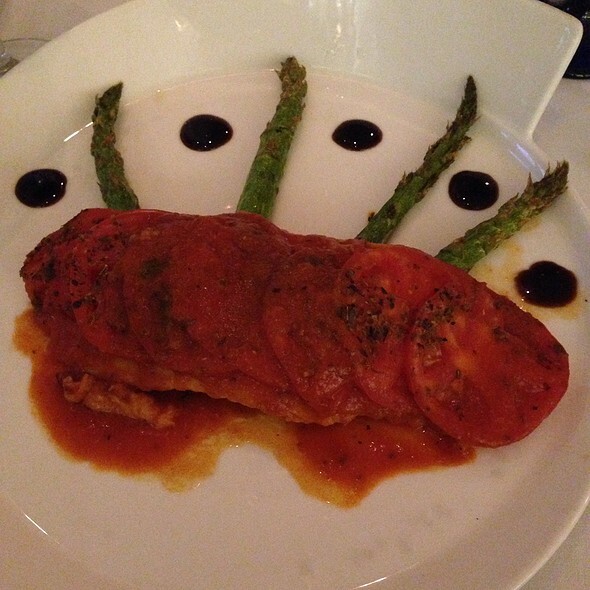 Highlights included a whole fish and a pasta seafood dish. Oh and the strawberry dessert was amazing! The one off note were the mini-burgers. 2 people ordered them and 1 didn’t get his until after everyone else was done eating, ostensibly because they were overdone the first time and had to be re-cooked. However the ones he did get were past well done so I hate to think what the first ones were like!